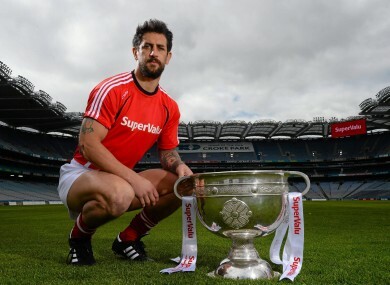 And how much longer does he have left at inter-county level. SuperValu are calling on communities and clubs all across Ireland to enter the ‘Community Den’ competition in store for a chance to win part of a €25,000 prize fund to benefit your local GAA club. For further information check out supervalu.ie. Those boys gave us fine trouble last year down in Thurles. I think the key for us was to get out of the blocks and get on top of them early on, which we did. I think we managed to maintain that kind of level for the game. We haven’t been doing that over the last number of years, I think. We’ve been a little bit inconsistent within games. That we managed to stay to a good level for 70 minutes was pleasing for us. I don’t find it difficult myself I have to say. I’ve always enjoyed league football and that kind of going week-to-week has always been good for me in terms of my body and getting momentum, so I can’t say it’s an issue for me really. I remember the last time Waterford came down to Killarney and, no more than Tipp last year, they gave us a fine sticky game. I think it was 2007 [2006 Munster QF, Kerry 0-16 Waterford 0-8]: Murph might have saved a penalty late on and we won by two or three points. That was the last time I remember Waterford coming down. We’ll be expecting another difficult game and we’ll be looking to implement stuff that we’ve been working on in training. That’ll be the focus for us. They seem to be on another level. We were probably looking at Tyrone the same way years ago going, ‘Ok what are they doing?’ They’re similar at the moment. I always think you have to be the team who is pushing the envelope a little bit in terms of how you’re playing. People are looking at you wondering, what are these guys doing? If that’s where they’re at the moment, hats off to them. For us, it’s about trying to focus on doing things better than they’re doing it and getting up there ahead of them again. I don’t think you can get too caught up or too bogged down in looking at what other teams are doing. That’s never served us very well in the past. You’re made that way and that’s your natural way of playing. It might be successful for a while and then you get blown out of the water and then you have to rethink the whole thing. That’s kind of been a pattern for Kerry in the past while and I think it’s time maybe for us to possibly innovate a little bit and try to be the team that everyone is trying to catch again. I was kind of thrashing around [the idea of retiring] to be honest with you and when Éamonn got the nod, there was no decision to make really. It’s not really difficult, it hasn’t proved to be. I think he knows me well enough now at this stage and I know him well enough to know how we are and what kind of people we are. It’s not been any difficulty. I think physically I have got better over the years. I know what to do. When I was younger I wasn’t as clever in how I used my body number one, and how I conditioned it number two. I think I’m a little bit better in keeping strong and picking my hits. I have become more clever. Physically I could go on for a few years but… the physical stuff wouldn’t be the issue. Career-wise I’d have to weigh things up. I would probably put an awful lot of stuff on hold for football that I’ve started to tap into a little bit; this website and the advertising deal would be one of them and there’s lots of other stuff in that field that I would like to develop. For three years I have really been balancing my life in terms of trying to make a little bit of a living but being mindful of my responsibilities to Kerry and not bringing too much of that baggage that is there, for better or worse, not bringing too much of that to bear to the Kerry football set-up. For me it’ll be a case of weighing up different things rather than how I am physically. Email “Galvin on Kerry style, Donegal’s evolution and being managed by the brother-in-law”. Feedback on “Galvin on Kerry style, Donegal’s evolution and being managed by the brother-in-law”.